Above all, Barbara Hueppe is all laughing eyes and perpetual smile… and you might even sometimes hear a roar of laughter! It definitely seems that no one in Mozilla has ever seen her in a bad mood. However, as a European Communications Manager, Barbara definitely has loads of work and some hassles! In particular, she has to deal with journalists… so you see what we mean! 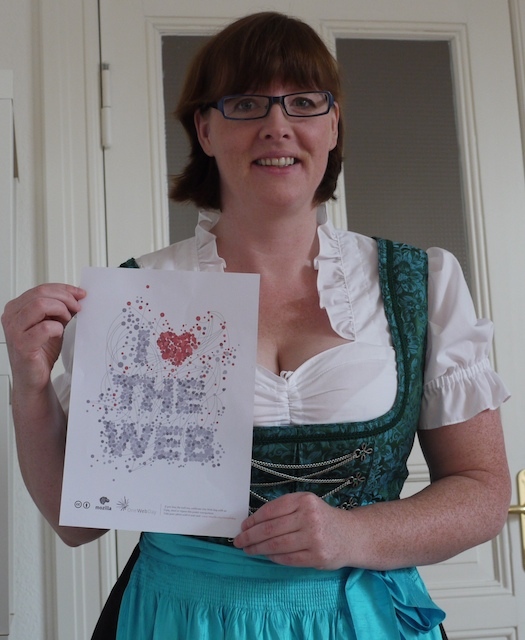 😉 Based in Germany (as indicates her charming traditional costume, that suits her perfectly!) in Berlin, we sometimes have the pleasure of welcoming Barbara during her visits at the Paris office.